Contemporary Australian artist Tony Albert is back in Brisbane and invites you to his new exhibition which opens at the Queensland Art Gallery on Saturday 2 June. ‘Visible’ not only showcases major works from the last 15 years, it also includes new work not previously exhibited. The title of the exhibition speaks to one of Albert’s often used quotes ‘Invisible is my favourite colour’, a response which frames the exhibition. In Albert’s practice, he explores representations of Aboriginal people through a mix of humour and poignancy, while tackling issues of race and representation head on. In his conceptually driven practice, he often re-appropriates and recycles items of vintage kitsch that feature Aboriginal images or imagery: objects the artist calls ‘Aboriginalia’. Growing up, Albert’s family would often visit the second-hand shops of regional and suburban Queensland, where he would find piles of Aboriginalia – plates, ashtrays, cups and saucers – and choose pieces to keep. As a teenager, his childhood collection continued to grow, but took on more political connotations. After graduating from the Queensland College of Art in 2004, Albert began to incorporate these once fashionable, mass-produced objects into his artworks, to question the historical and contemporary representations of Aboriginal people within Australian society. 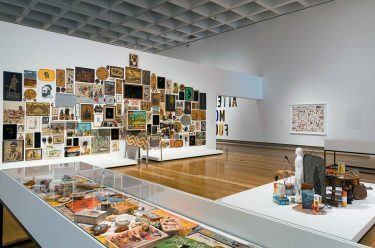 Many of Albert’s early Aboriginalia works directly address the racial histories and legacies embodied by these objects such as the large, text-based wall installation Sorry 2008. Collaborative projects, which Albert undertakes with fellow artists and Indigenous youths, are also an important element of his practice. 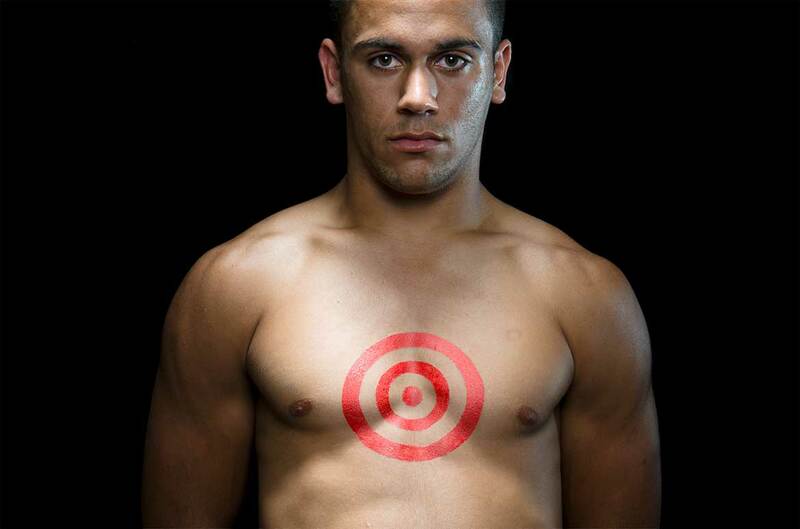 Following a number of workshops with young Aboriginal people, Albert produced ‘Brothers’ 2013, a series capturing the marginalisation and criminalisation often experienced by this vulnerable demographic. The photographs that make up his 2017 series ‘Warakurna – The Force is with us’, which were produced in collaboration with children from one of Australia’s most remote desert communities, paint the youths in a positive, heroic light – to themselves as well as to the viewer. Albert presents the complexities of contemporary experience, allowing us to engage with the hard truths of our past and to make visible our Indigenous people, in the hope that we will strive to create a better future together. ‘Visible’ has been developed to coincide with the interactive exhibition ‘We Can Be Heroes’ at the Children’s Art Centre, GOMA. 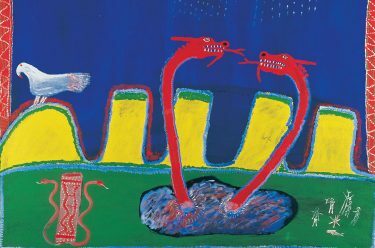 Albert collaborated with children and artists from Warakurna to create a number of artworks including the photographic series Warakurna – Superheroes 2017 and illuminated paintings featuring the Mamu, the fearful trickster spirits found in Warakurna.